Description: Adults are not the only ones who think. Children think too (probably more than their adult counterparts). 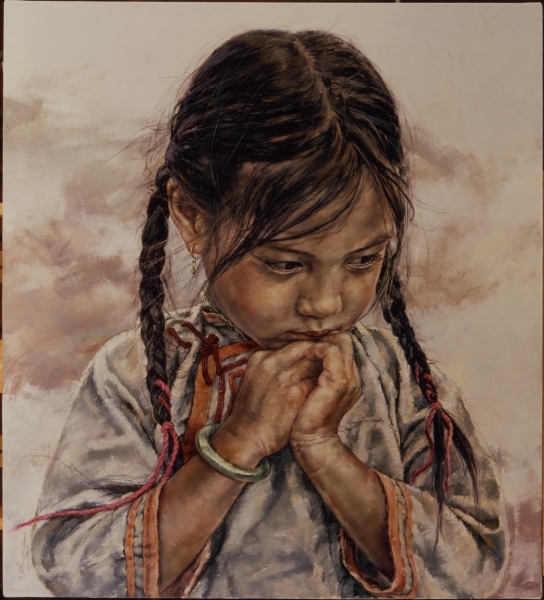 The girl in this painting looks to be deep in thought. What's on her mind? A treat? A toy? New cloths? Or perhaps, she's contemplating the limitless beauty and diversity that exists within her and all around her.